Touched by Olivia is a national charity that is focused on the happiness and health of children, achieved through the unique partnership model to develop inclusive playspaces across Australia. Touched by Olivia is excited to be part of something very special at Budgewoi in partnership with Wyong City Council. This will be a special place where people of all ages and abilities will be able to play side by side. An important asset, the inclusive playspace is a great space to connect with your local community. Now is the opportunity for you to have your say. 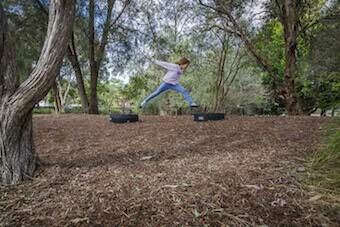 Tell us what you want to see in the inclusive playspace to be constructed at Budgewoi. * 1. What do you consider important to your experience? * 3. What do you like most about the existing play provision in your community? * 4. Is there a park you visit, or an experience you enjoy? Tell us about it. * 5. Touched by Olivia advocates for inclusion through play. With the support of the developer, we will consider the needs of all members of the community when designing the playspace. If you had to design an inclusive playspace, what considerations would you make? * 6. Which suburb do you live in? * 7. Is your family living with disability? Please advise more details. * 8. Would you like to be kept informed of the progress of the design and construction of the playspace? Please provide your details below.